#1720 – You're in good time for the 1720 National Championships or any of this year's 1720 fixtures (see comment below from the class association) if you opt for this fun one design sports boat that the seller, MGM Boats, says is all set for the 2014 season. Moored in Cork, this 1997–built boat is a 'really clean' example. The boat comes well equipped with a full sail wardrobe, fully kitted road trailer with masting kit and lockers. 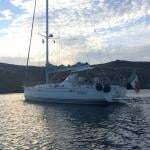 At €12,500, she's yours to sail away! More on this boat in the one design section of the Afloat Boats for Sale site. #BOATS FOR SALE – Whether you are looking to step straight into a race prepared X-34 for winning regattas or a well prepared 34 footer for performance cruising an X-34 on the Afloat boats for sale site, represents an excellent opportunity to acquire astylish, great all-rounder built in 2011. The yacht is for sale at £145,750. Our Boats for Sale website has been updated. We've listened to the needs of you, the buyers and sellers to bring you the site Ireland needs for boat sales. #BOATS FOR SALE – A Quarter Ton yacht for sale at €8,000 is 'a great club racer' that 'normally cleans up in Class 3', that's according to a new advertisment on Afloat's Boats for Sale site this morning. The yacht Manzanita has been 'reduced to sell' by owner George Kenefick, the recently crowned All Ireland Sailing Champion. 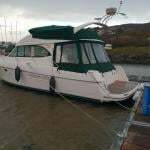 Earlier this month a similar yacht, a Bolero 26, Bandit, sold quickly prompting seller Ian Travers to write and record his thanks for the interest generated from the advert on the Afloat boats for sale site (cost €10). Quarter Ton racing looks like a popular style of sailing for the current times. A leading example, Supernova took top prize at this year's Volvo Dun Laoghaire Regatta and both the 2011 ICRA Nationals and the Sovereign's Cup championed the small boat cause. The latest addition to the boats for sale site is 'a steal for the price' says Kenefick who makes the 1977 vintage craft sound like an ideal winter project for a Dublin Bay or Cork Harbour campaign in 2012. The boat had a new 'Formula' rig in 2006 and new mainsheet track in 2008 with new Harken cam cleats. The boat was resprayed in 2005 but now needs a few touch ups. All sails are from McWilliam Sailmakers. A mast head kite and a small kite are inlcuded. The boat is lying in Hamble UK on a Trailer but you can see photos of her on the full advert here.